In September, 2015, I replaced the 30 year old block phone system with a new system, including an 8 line PBX (private branch exchange) , a speaker phone for the dispatcher and 7 additional Trimline type phones. New speaker phone replaces the old handset and a 5 channel radio base station. See the picture above for the old systems. 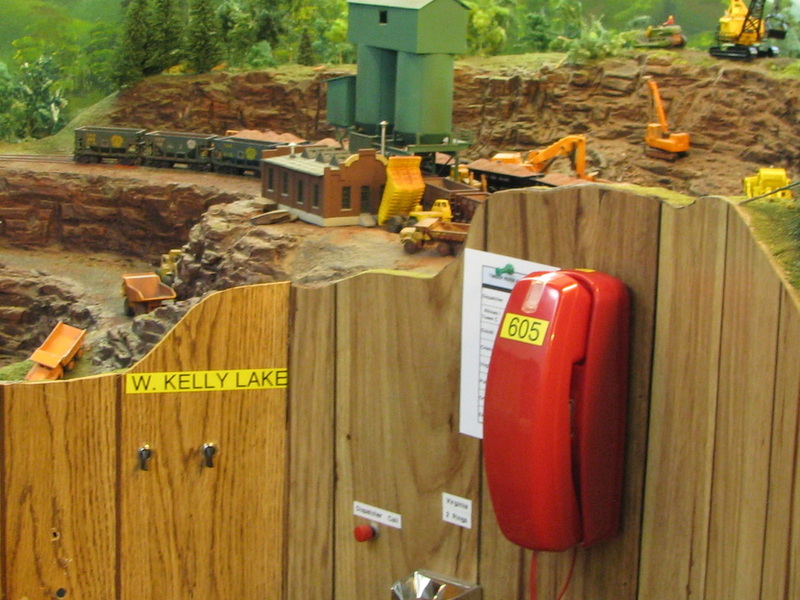 Red Trimline phones are used for the Yardmasters and Tower Operator. This is the Virginia Yardmasters phone. 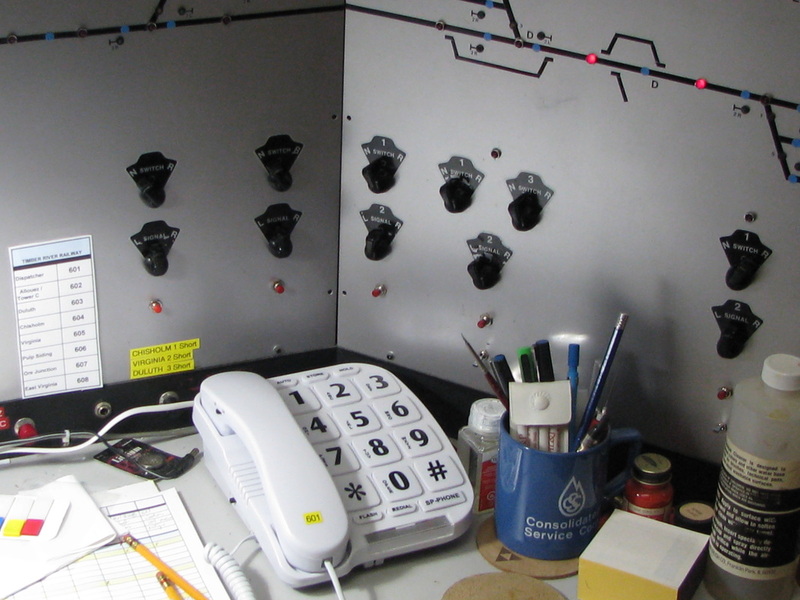 Black Trimline phones are used as block phone, for crews to call the Dispatcher or Yardmasters.The Dispatcher can also reach train crews , if needed. This phone is near Ore Junction and Iron River. This new black block phone (number 606) is near Pulp Siding. The old tan block phone has not been removed yet, to give a comparison to the old block phone party line system.